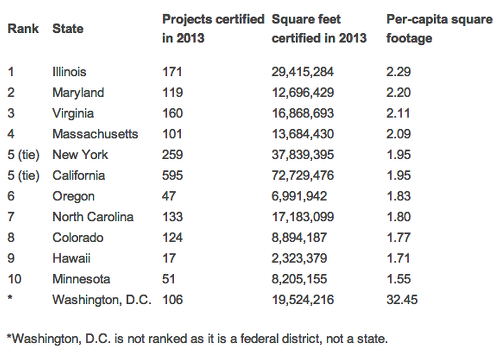 The USGBC has released the top 10 rankings for states that are setting the pace for LEED certifications. 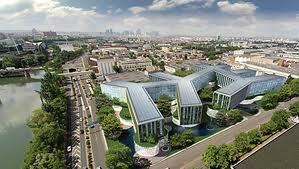 The data is derived from green building projects that were certified through 2013. Schools and advocacy in support of public policy that encourages and enables green buildings and communities. For more information, visit usgbc.org. 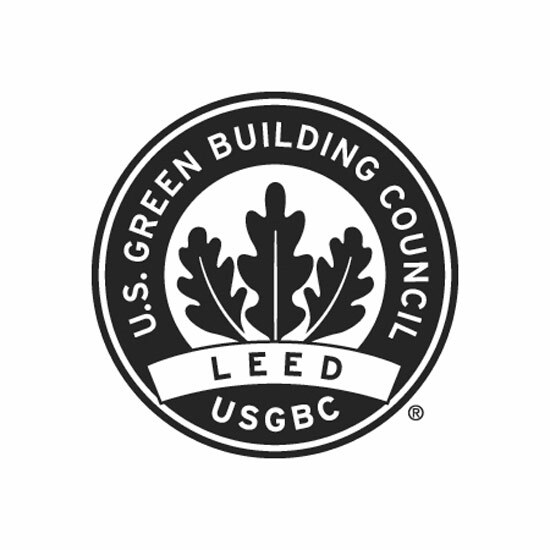 The U.S. Green Building Council’s LEED green building certification system is the foremost program for the design, construction, maintenance and operations of green buildings. Every day, more than 1.5 million square feet of space is certified using LEED. More than 57,000 commercial and institutional projects are currently participating in LEED, comprising 10.5 billion square feet of construction space in 147 countries and territories. In addition, more than 50,000 residential units have been certified under the LEED for Homes rating system. Learn more at usgbc.org/LEED. Dallas is one of the first major cities in the nation to pass comprehensive green building standards for both new residential and commercial construction. All projects must meet the Dallas Green Construction Code’s minimum requirements or be certifiable under the LEED, Green Built Texas, or other green building standards. All new building projects in Dallas are expected to reduce water usage by 20 percent. LEED certified projects may achieve one point under the Water Use Reduction Credit or use 20 percent less water than the minimum stated in the Plumbing Code. In its enactment of the International Green Construction Code, the city of Dallas has deleted Chapter 6, which relates to energy conservation, and chose to keep the existing energy code requirements instead. Among other deleted segments of the code are those relating to alterations of existing buildings. A third party may review the city’s green building program. Dallas has received praise for its recent implementation of green building standards but has caused a public debate with its treatment of LEED certifiable projects, which, according to some, violates the terms of usage of the U.S. Green Building Council (USGBC) rating system. After extensive review and discussion, USGBC members have approved major changes in LEED v4, which includes a focus on performance in the Materials & Resources category. Are you ready? Key Changes in LEED v4…. Projects will still receive 1 and 2 points for 50% and 75% diversion from landfill; however, Alternative Daily Cover has been specifically excluded from diversion from landfill calculations. An additional point from the LEED Pilot Credit Library may be awarded to projects using a C&D recycling facility whose recycling rates have been verified by an authorized third-party. This pilot point is currently in-progress with USGBC and is anticipated to be available in about a month. With LEED v4’s emphasis on performance it is important that recycling rates claimed by C&D recycling facilities are accurate and verified. In addition to the Pilot 3rd Point under LEED v4, government agencies across the nation are implementing C&D recycling programs and many require accurate reporting of recycling rates. RCI’s CORR program provides credible, ISO-level third-party certification of C&D facilities’ recycling rates and we look forward to USGBC’s implementation of the Pilot 3rd Point. PORTLAND, Ore. — An eco-friendly building rating system that has powered a green arms race across the nation now faces a challenge from policymakers and an upstart rival. LEED, the longstanding king of green construction and renovation projects, has become a de facto brand in cities such as Portland, Ore., where sustainable growth has been the rage for years. But that could change as legislation and executive orders in several states have all but banned Leadership in Energy & Environmental Design from public contracts, and a new system known as Green Globes has emerged and marketed itself as a simpler, less expensive alternative. Courts has used both LEED and Green Globes, which has issued about 850 building certifications in the past few years and has recently picked up support from the federal government. LEED supporters say the emerging opposition comes from lobbyists seeking to damage the industry leader and increase the prominence of Portland-based Green Globes. The timber, plastics and chemical industries support “Green Globes because it does not represent a threat to them, it’s their way of having a green building without having to change their practices,” said Scot Horst, a Green Building Council senior vice president who oversees LEED. From Seattle to Chicago, LEED has certified thousands of buildings and provided a marketing tool, tax breaks and other incentives to contractors eager to cash in on the sustainability craze. In Portland, LEED adorns everything from the arena where the NBA’s Trail Blazers play to condos in a trendy warehouse district. Administered by the U.S. Green Building Council, a nonprofit based in Washington, D.C., LEED aims to reduce the use of energy, water and greenhouse gas emissions in new construction and renovation projects. Though it’s voluntary and market-based, more than 30 states, multiple cities and the federal government either require LEED construction or incentivize its use in public buildings. LEED has 44,270 U.S. projects, many of which are federal, state and local government buildings. Critics say it’s a cumbersome monopoly that doesn’t always deliver what it promises. But supporters counter that opponents are pushing the alternative system to redefine the meaning of “green” and skirt LEED’s stringent environmental standards, which were updated last month. As the debate spreads, lobby groups are asking Congress to ban the use of LEED in federal projects. In several states, including Maine, Georgia, Mississippi and Alabama, LEED standards have essentially been banned in public construction. North Carolina, Florida and, most recently, Ohio also have seen anti-LEED legislation. Even in eco-friendly Oregon, the governor has ordered officials to examine how green building rating systems benefit the state, though no ban has been put in place. While most of the orders, amendments and bills don’t mention LEED by name, several ban rating systems that they say discriminate against American wood products. That’s a direct stab at LEED, which recognizes a single, stringent forest certification system — one that’s opposed by timber industry giants such as Weyerhaeuser, because it does not certify some of U.S. timber. Green Globes accepts less stringent forest certification programs. Other bans target green building rating systems that don’t use the American National Standards Institute consensus process. Green Globes does, but LEED uses a different process. Groups such as the American Chemistry Council say LEED lacks true consensus building and its latest requirements discourage “certain products without adequate input from technical experts.” Such statements are a reaction to LEED’s rejection of certain toxic materials. Some critics are calling Green Globes is an effort at “green-washing,” founded by a former timber executive and overseen by a board of directors that includes the American Chemistry Council, the American Wood Council, DOW Chemical, and the Vinyl Institute. 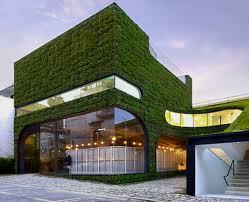 Its administrator, the Green Building Initiative, says Green Globes should be judged on merit. 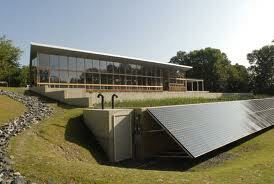 And though most experts agree the alternative is less strict than LEED, it does offer some advantages. Just like LEED, Green Globes offers a point-based rating system. But unlike LEED, Green Globes applicants fill out an online questionnaire and get an on-site visit and feedback during the process. The system cuts down on the price of hiring certified consultants who usually complete a LEED application, Courts said. LEED certification for retrofitting Portland’s Columbia Square building, for example, would have cost about $100,000, Courts said. A Green Globes verification cost only about $20,000. The building was one of nine Green Globes projects completed recently in the Portland area. That might soon change, however. In late October, the federal government gave Green Globes a stamp of approval.On new construction projects, LEED certification is still a must, Courts said, otherwise “you might have a problem marketing the building.”Though Green Globes is less stringent in some ways, especially when it comes to the types of materials permitted, Courts said, both rating systems use the same yardstick for energy use in existing building renovations. And for the first time, the U.S. General Services Administration recommended that Green Globes can be used alongside LEED for new construction and renovation projects.